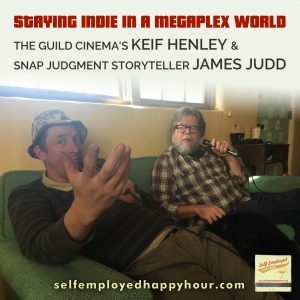 The mimosas are cold, the burritos hot, and the Self-Employed Happy Hour podcast is back! 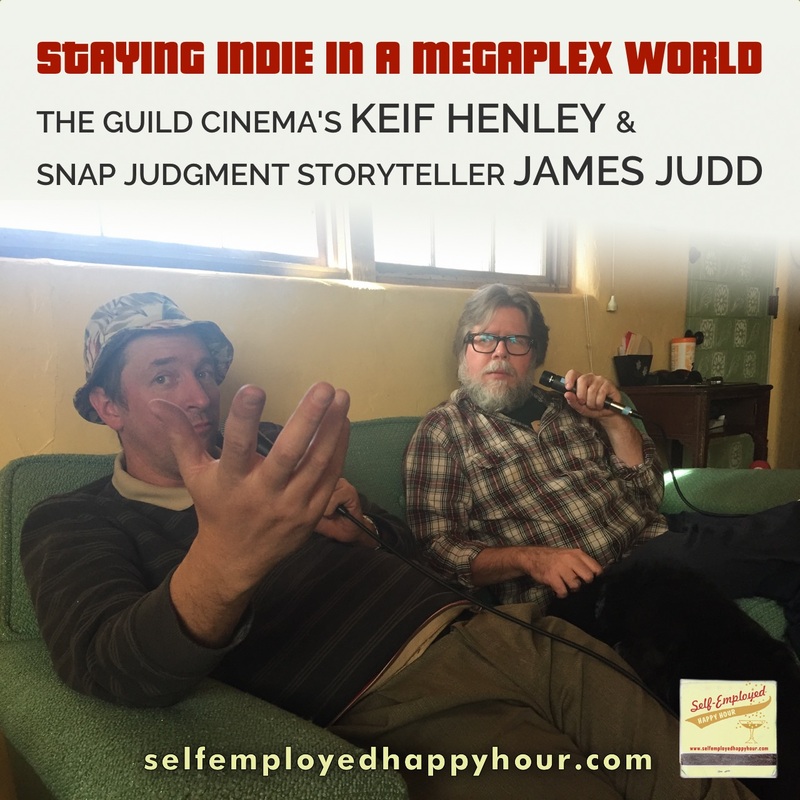 In this episode I am super-thrilled to welcome a new co-host, artist and emcee Eph Sharpe, plus I talk with Keif Henley, the owner of The Guild Cinema, Albuquerque’s last indie cinema, about how to stay indie in a megaplex world. AND, Snap Judgment storyteller James Judd shares a story about being haunted by voices telling him he’s not “really” working. You can stream the podcast below, or subscribe at iTunes, Stitcher or TuneIn. Be sure to Like our Facebook page for updates, previews and a like-minded community of self-employed peeps! Theme song: “You Know Who You Are” by Sam Miller.